Twenty minutes off North Carolinas coastline, where the Cape Fear River empties into the Atlantic Ocean, Bald Head Island welcomes guests arriving by passenger ferry or private yacht. Transportation is by golf cart and the only high-rise you'll find is "Old Baldy", North Carolina's oldest standing lighthouse, circa 1817. In addition to 14 miles of unspoiled beaches and 2000 acres of dunes, Bald Head Island boasts a lush maritime forest and 10,000 acres of salt marshes and tidal creeks. The island treasures and protects its natural resources through the efforts of the Bald Head Island Conservancy Group. Community volunteers work with UNC-Wilmington marine biologist to sustain the indigenous loggerhead turtles. Come for a day and you'll want to stay for a lifetime. Either way, we can help you find the home you've been dreaming of. Browse through our beautiful vacation home accommodations and make your reservation online today, or call us and we would be happy to help you find the right fit. We not only offer vacation rentals, but we are also a full service Property Management and Real Estate group as well. Owned and operated by long-time Island residents Dann and Gail Jackson, we have a dedicated team of professionals to help you find and care for your own personal slice of heaven, once you've fallen in love with Bald Head Island. The Inn offers nightly accommodations in 10 uniquely breathtaking rooms as low as $250 per night, making it ideal for couples' getaways, girls weekends, honeymoons and more! 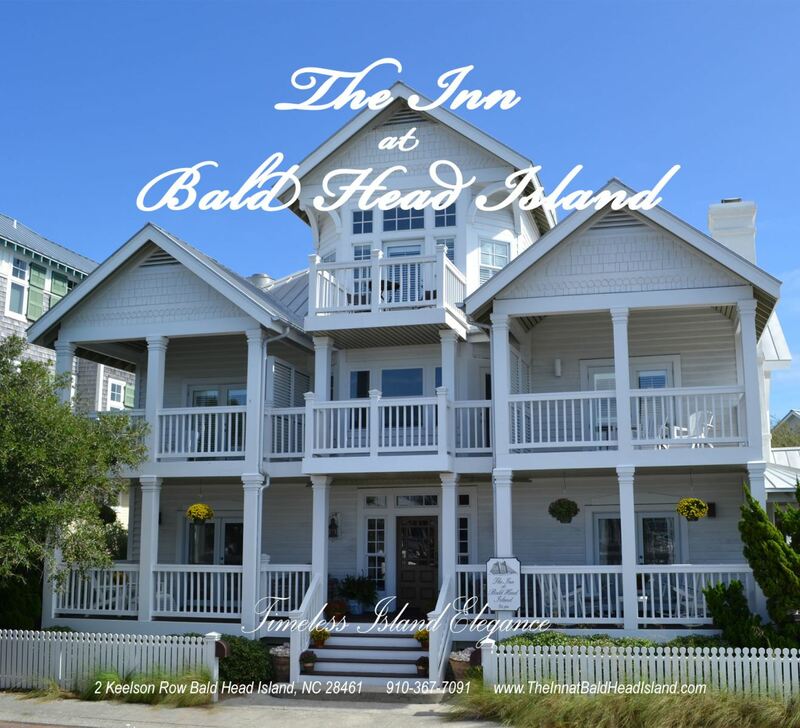 For an incredible, once-in-a-lifetime Bald Head Island wedding experience, rent the entire Inn to ensure you'll have the picture-perfect memories of your special day. Call 1-888-367-7091 or email [email protected] to discuss how we can help you customize your wedding package with breakfast options, catered meals and more. The Inn offers a truly special venue for your corporate retreat or gathering, The inn provides all of the modern conveniences you expect within an atmosphere of relaxed coastal beauty that perfectly complements any business event. The Inn itself is ideal for executive meetings, company retreats, or business seminars. Book a few rooms or the entire inn. When reserving the entire Inn, meetings can be held anytime, day or night, without disturbance. Located in the Marina Harbour Village, The Inn also offers convenient walking proximity to waterfront dining and shopping options. The Inn is also just a short golf cart drive to the award winning Bald Head Island Club Golf Course.